A few months ago I attended Snap Conference here in Salt Lake and I had the opportunity to meet lots of sponsors and try out some of their products. After Snap one of the sponsors, I Love to Create, sent me a giant tie-dye kit. My kids were super excited when they saw it and they wanted to tie-dye some shirts right away. I really wanted to use it to make something else, shirts just seemed too obvious and I wanted to try something different. Although the truth is, we used 3 bottles of dye out of the 20 I had so I am sure we will probably end up making t-shirts at some point. Recently I have had the opportunity to start working with another company I met through Snap, Fairfield World, and they sent me some of their product to use in some of my projects. One of the things that they sent me were some pillow inserts. 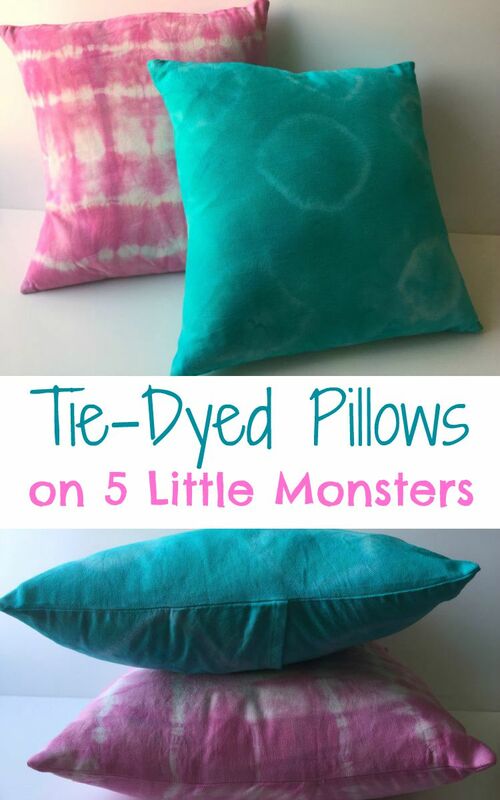 That gave me the idea to try making some pillow covers for them using the tie dye. 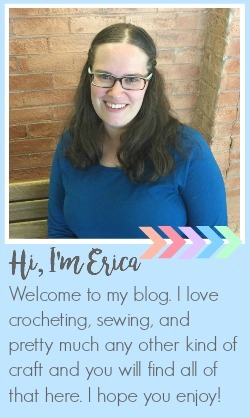 A couple of days ago I had the opportunity to guest post over on Fort Worth Fabric Studio's blog as a part of their Christmas in July Series. I was really excited about the idea of participating because it got me to make something for myself that I can use in my house this Christmas. 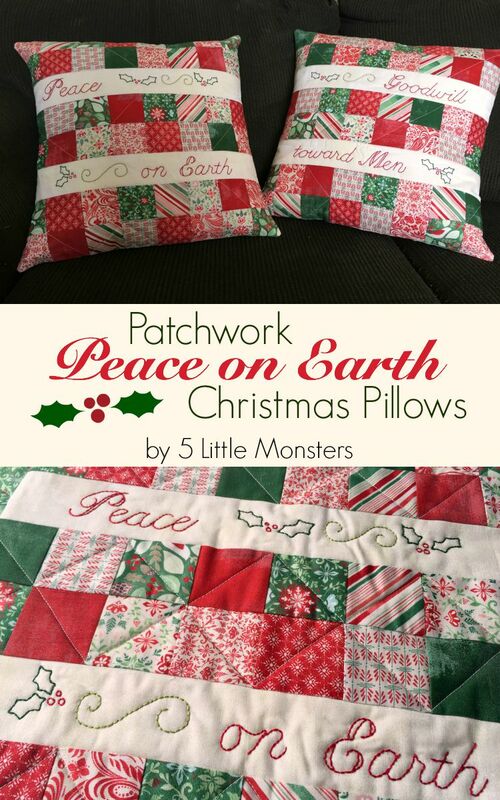 Every year I say I'm going to make something, a quilt or a pillow or something, for our house but every year I wait to long and Christmas comes and goes without it ever happening. Christmas in July was the perfect opportunity to get that project done. I made a set of pillows and I absolutely love the way they turned out. Now I can't wait for Christmas so I can put them out. Go here to find out how to make your own. I am really excited to be participating in the Happy Harry Potter Series on Rae Gun Ramblings. It came up at the perfect time. A month or two ago we decided to introduce our oldest son to Harry Potter by showing him the movies. We watched the first one and he loved it and couldn't wait to watch the next one. We went through all of the movies and he was a huge fan. I am more of a book person so watching the movies made me want to read the books again. I started reading them again and I am almost finished with the sixth book. After finishing the movies again I also signed up for Pottermore so that I could find out which house I would be in. Then Johnny needed to try it, and then a couple of the other kids, then when dad got home they insisted he try it too. I was sorted into Ravenclaw, my husband was sorted into Gryffindor and the kids that tried it ended up in Ravenclaw, Hufflepuff, and Slytherin, so between all of us we have all of the houses covered. 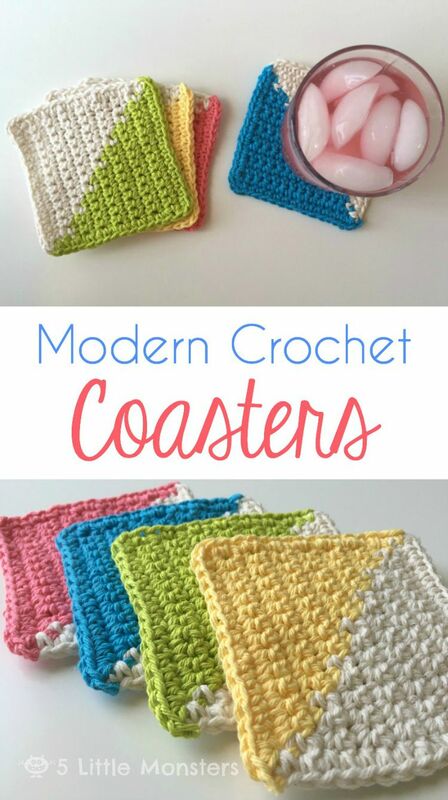 I originally shared these coasters a few weeks ago over on Craftaholics Anonymous. When I was trying to think about something to make I had a few ideas of what I wanted to make. I knew that I wanted something that would be a quick and easy project. I knew that I wanted it to be summery both in colors and in use. I thought coasters would be perfect, now I just had to come up with a design. I was inspired by modern, geometric designs and lately I have seen lots of things that combine bright pops of color with more natural elements. I wanted to recreated those things in a set of coasters and this is what I came up with. My newest crochet pattern is now available on the Fairfield World website. 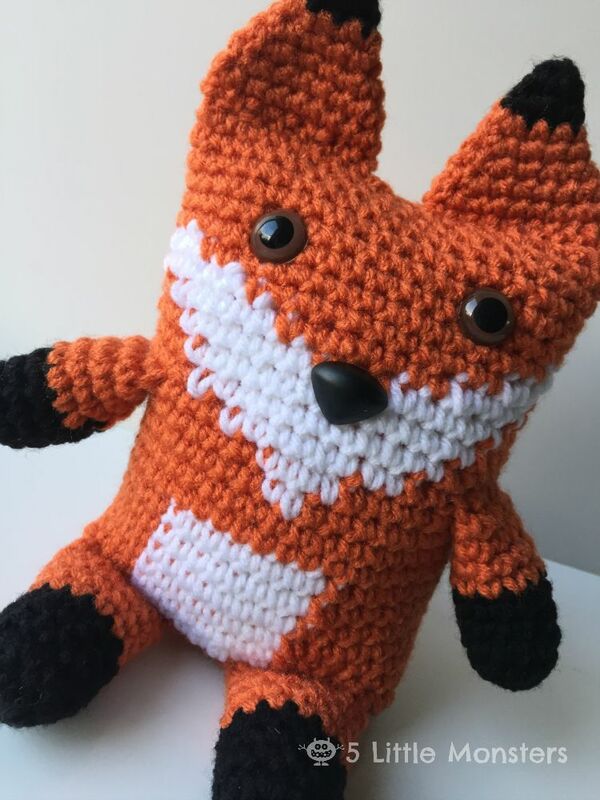 I have been wanting to make some sort of little stuffed animal or amigurumi type doll for a while and finally decided to do it. I made this little boxy fox. It has a rectangular base that gives it its boxy shape. I crocheted the arms, legs and tail in as I made the body so that they are nice and secure, and so that I had less sewing to do at the end. I used weighted beads in the bottom to help it sit up and stuffed the rest with fiberfill. It was fun to make and I was pretty happy with how it turned out. Now I am thinking of other animals that I can make to go with it. 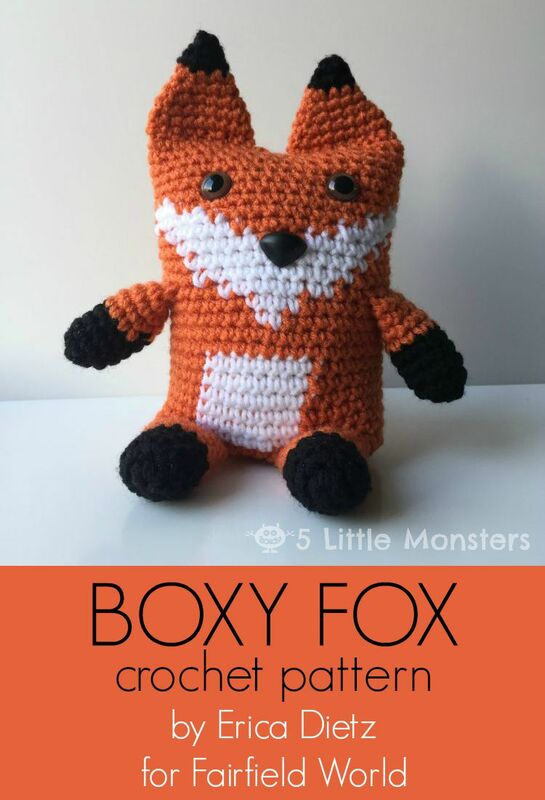 Get the Boxy Fox pattern HERE. A few weeks ago I got a surprise box in the mail from Red Heart Yarns. Inside there were two balls of their boutique yarns, a tote bag and a stitch counter. 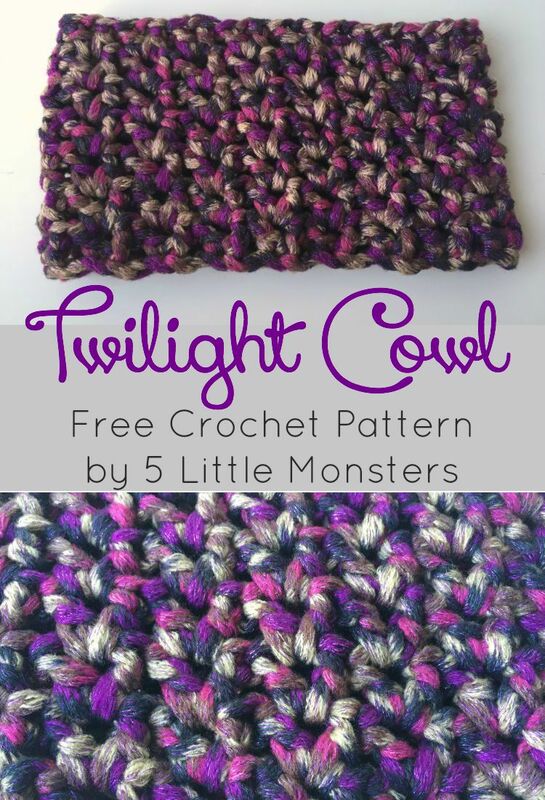 The Twilight Cowl is the first project I am sharing made with the yarn they sent. I will be sharing the project I made with the other yarn soon. The cowl was made with the Twilight yarn, hence the name of the cowl, not very creative I know but I really hate coming up with names for patterns. Twilight is a Super Bulky yarn with short color changes. To be completely honest, I wasn't a huge fan of the Romantic colorway that they sent me because of the contrast between all of the colors, I think it made it a little busier than I would normally go for. I thought it looked good once it was finished and my daughter loved it, it just isn't what I would normally be drawn to. However they do have some colorways that have different shades of the same color and I think those would work up really pretty and a lot less busy, there is one in shades of blue, another in shades of green, one in grays and a few others as well. Summer is the perfect time for picnics and barbecues and outdoor get-togethers with family and friends. I thought it would be fun to make some placemats to use for those summer picnics. 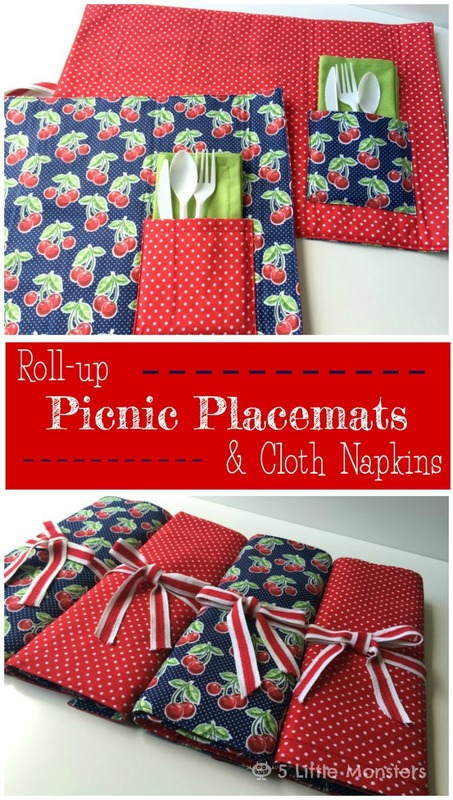 I wanted something that would be cute, portable and functional and I think these Roll-Up Picnic Placemats are all three. They are also really easy to sew together. I mentioned in a previous post that I have had the opportunity recently to start working with Fairfield World. A couple of times a month I will be sharing projects on their website and last week I posted my first one. I thought I would share it here so that you can go check it out, along with all of the other great projects ideas they have there. 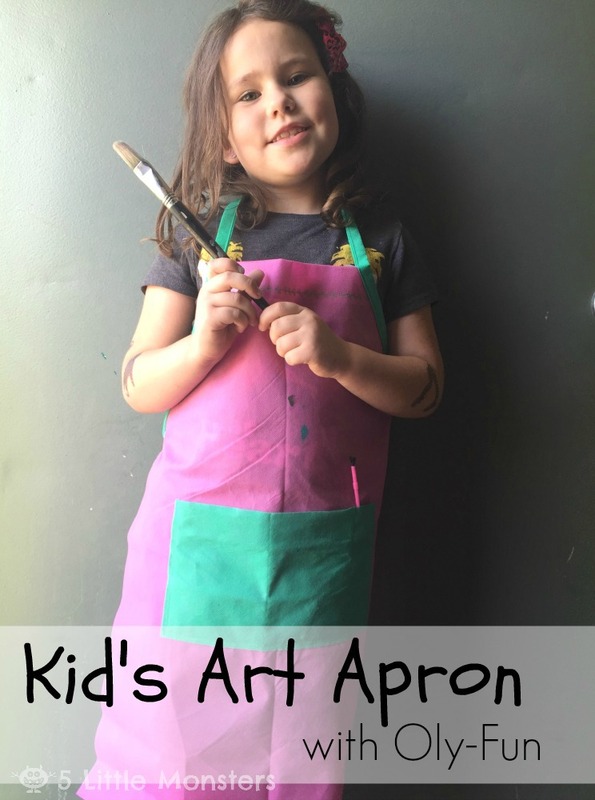 I made these really simple art aprons for my kids. They are made with Oly-Fun Fabric which doesn't fray so I didn't need to hem or finish the edges. That made the aprons really fast and easy to make and they are great for summertime art projects. 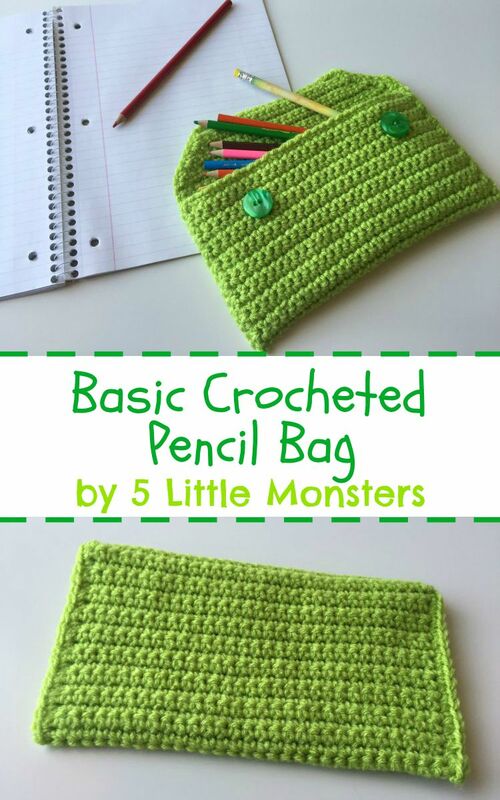 I'm sharing a new crochet pattern over on Craftaholics Anonymous. 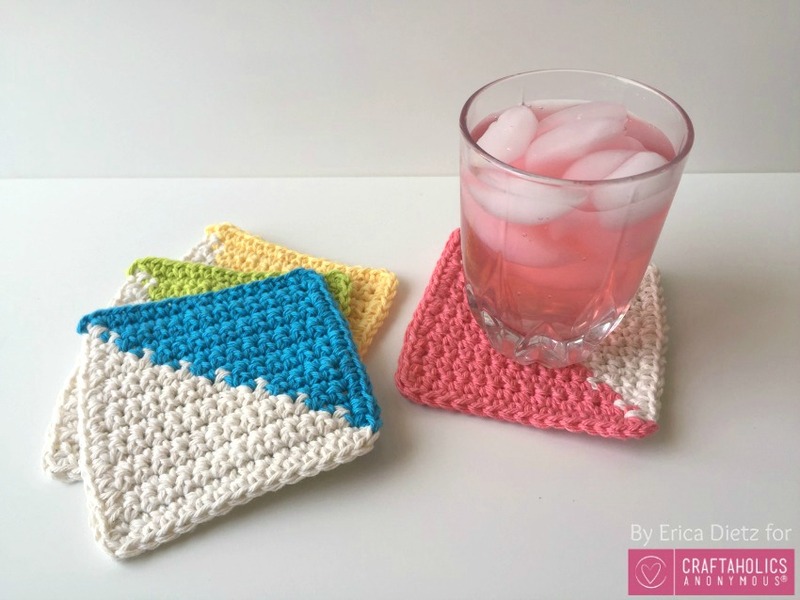 It is a crocheted coaster set that is inspired by modern, geometric designs and natural colors combined with pops of bright colors. Coasters are a nice summer crochet project because they are small which is great for a couple of reasons, one, they work up really fast and it's always nice to make something that you can finish quickly, and two, you aren't covered in a heavy warm yarn project when it is so hot outside. Also, sometimes it is hard to want to make hats and scarves and other cold weather projects when it is 100 degrees outside. It is nice to have a project that you don't have to wait until fall or winter to use. 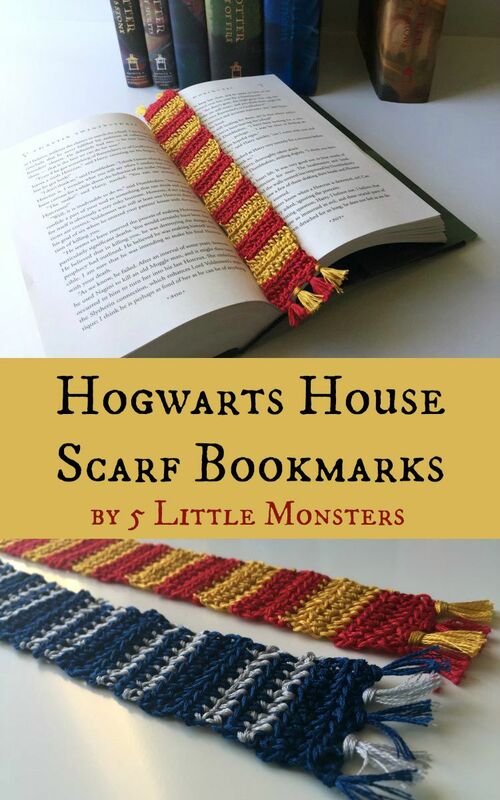 Head over to Craftaholics Anonymous to get the pattern.